Antique French mirror with original glass and panelled back. 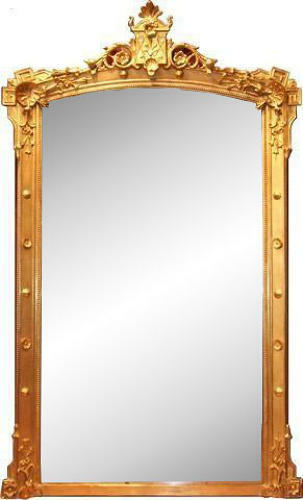 Size : w-46" h-76"
We use pure 23½ carat gold to refurbish gilded mirror frames. ~Structural restorations are carried out using traditional methods and materials. * Safe and reliable FREE UK delivery * * See our testimonials to see what people say about us * All our furniture is finished to the highest standards ready for your home.